The MyCar was conceived by Giorgetto Giugiaro of Italdesign in 2003, but only after five years did it make its official debut wearing Nice’s (No Internal Combustion Engine) badge. The electric car was designed to be driven around the city and is targeted to budget buyers, being priced at around $15,500. The Nice MyCar is built on a steel tubular space frame with a tubular roll bar and its body is made of lightweight fiberglass reinforced plastic. The stopping power is assured by disc brakes while the ride quality is kept in check by independent front and rear suspensions. Unlike other new EVs, the Nice MyCar uses lead acid batteries to power the car, which is an older technology when compared to the lithium ion packs. 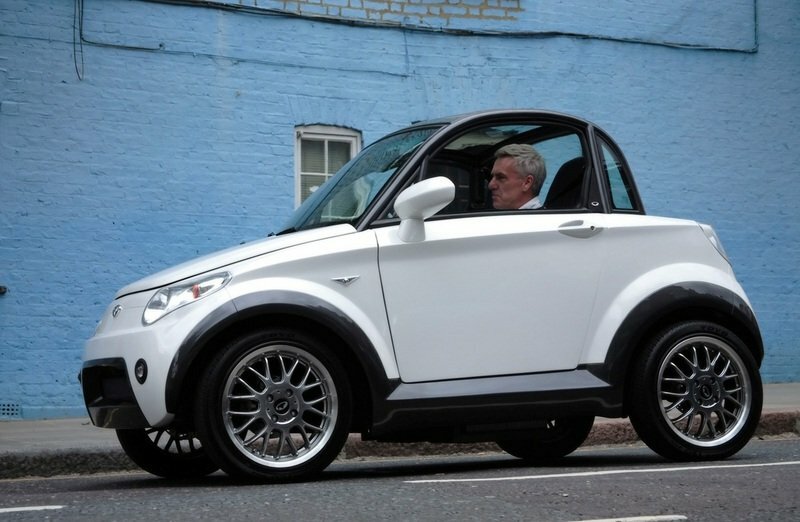 Like other EVs, thanks to its green nature, the MyCar is exempt from the Congestion Charge. Hit the jump for more information on the Nice MyCar. The MyCar’s body was designed back in 2003, so the design language is a bit dated when judged by today’s standards. Given the fact that it was penned by Giugiaro, it still looks pretty classy. The car is fitted with only two doors and can transport two passengers, so its exterior dimensions are pretty small being 2.6 m long, 1.4 m wide, and 1.4 m high. The car offers two boots, one is placed up front and the other out back offering a combined luggage volume of 140 liters, while the maximum payload is rated at 200kg. The vehicle is available in two trim levels, namely Standard and Select. Both versions use the same engine and batteries, but the Select adds leather seats, panoramic glass roof, larger alloy wheels, parking sensors, upgraded radio, and body colored steering mirrors. The front end comes without a grille. Instead the bumper features a wide, trapezoidal opening which gives the car a bolder look. The bumper is also fitted with two circular fog laps surrounded by a thin black border. The bumper is seamlessly integrated into the muscular front fenders, giving the vehicle a feel of solidity. The headlights sweep back above the fenders and point toward a sharp crease that runs along the sides underlining the high waistline. To help the car get noticed in the crowded urban jungle, Nice gave it a two color exterior treatment. Thereby, the upper part of the body and the lower part including the side skirts and the wheel arches are painted in black, while the rest of the body can be ordered in different colors. The Nice MyCar’s interior is pretty well built. We especially like the practical design of the dashboard which maximizes the use of space, but it also looks fairly cool. The most important vehicle stats are displayed on a circular gauge mounted in the center of the dash. Luckily, its position has been wisely chosen because it’s easy to read and does not distract you from the road. We must admit that the cushions are nicely padded, making the seats comfortable for your short trips to the grocery store and back. 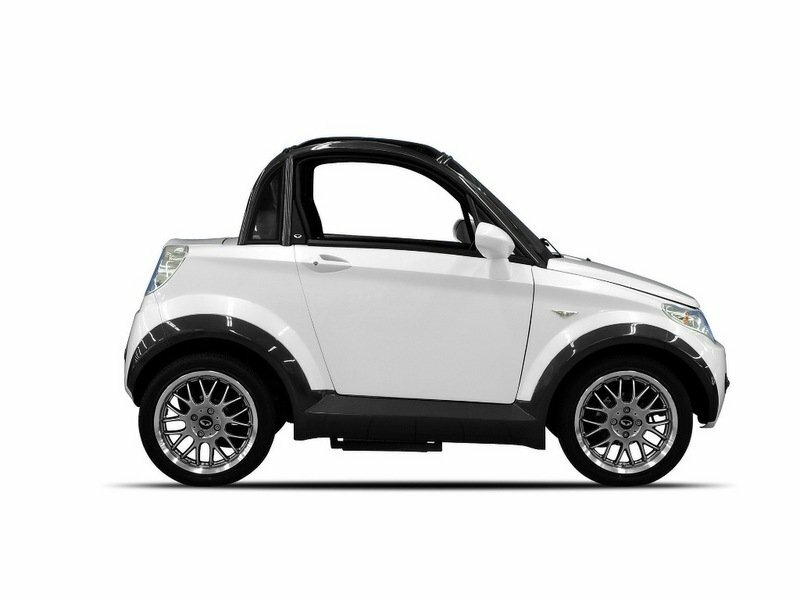 Nice says that the car offers enough headroom to accommodate occupants up to 6"5 tall without problems. That’s all well and good, but leg room is tight and the bottom cushion is low to the floor, so adults sit with their knees relatively high. 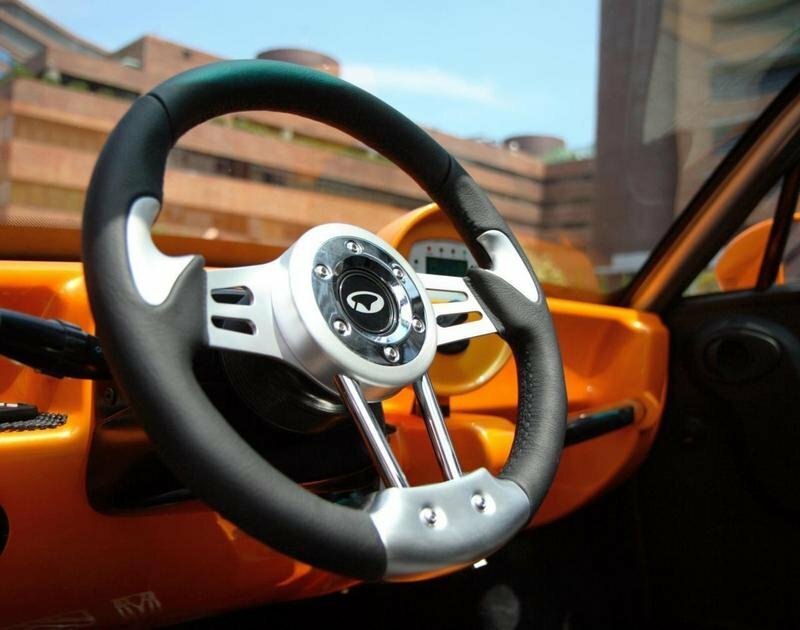 On the other hand, we absolutely love the extra-cute and sporty three spoke steering wheel which features a lovely combination of metal and rubber. It also feels great to hold and makes the entire cab look sportier. 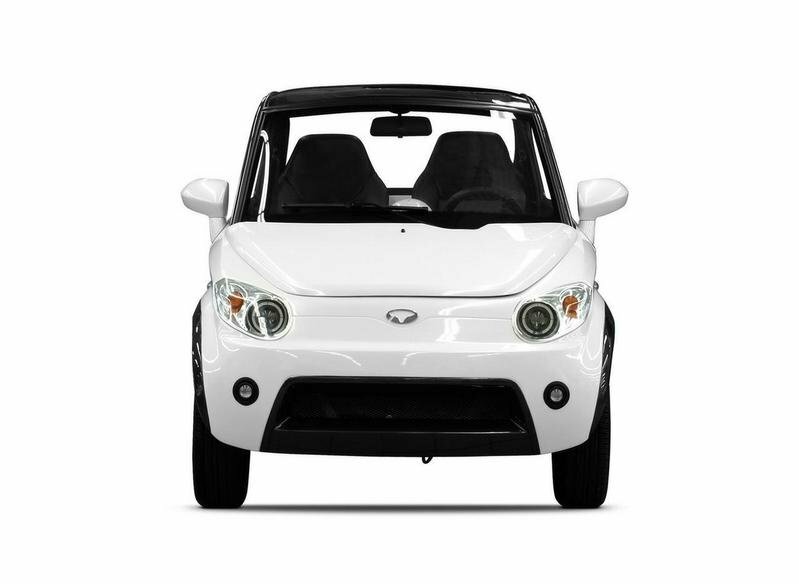 The MyCar is fairly well packed featuring electric windows and mirrors, a radio/MP3 player, remote central locking, and Bluetooth phone connectivity. On the options list, you’ll find cooled/heated seats, a boot rack, and a leather interior. Not to mention the glass roof or the removable fiberglass roof panel. The Nice MyCar uses a pack of lead acid batteries which power a compact electric motor. Unfortunately, the motor feels pretty lazy and it offers a top speed of only 30 mph. The motor’s power is sent to the front wheels by means of a single speed drive/neutral/reverse transmission. Unfortunately, the MyCar is fitted with lead acid batteries which aren’t the newest technology in this field and thereby offer a pretty short range, rated at only 40 miles. Like most of today’s electric cars, the MyCar can be charged either at a regular wall outlet or a fast charging system. Depending on what method of charging you use, the batteries can be filled up with energy in three to twelve hours. There is also available an energy recovering system, which helps extend diving range. The Nice MyCar has everything it needs to make a compelling case for itself. For starters, it comes at a very good price which will give most of its rivals a run for their money. It also features a stylish exterior designed by the famous Giugiaro,a cabin that is well put together and offers a decent ergonomy, and a lot of modern features, while the built quality and overall finish are also part of the first class. However, when it comes to performance, the Nice MyCar is at the opposite end of the spectrum. It uses a dated battery technology and offers a limited range and top speed. The acceleration is also sluggish and the charging time isn’t impressive either.